Fast bowler Junior Dala was superb before batsman Farhaan Behardien shepherded the Titans to a five-wicket victory over the Cape Cobras in Wednesday's Momentum One-Day Cup semifinal at SuperSport Park in Centurion. Dala increased a commanding lead among the 2019 tournament's top wicket-takers en route to figures of 6-19 in 8.3 overs in the Cobras' final total of 187 all out. The haul marked the best of his seven-year List A career, surpassing the 5-32 gathered against the Dolphins earlier this month. He was superbly supported by Proteas pace Dale Steyn, who initially justified captain Dean Elgar's decision to bowl first with the dismissals of top-order batsmen Janneman Malan and Zubayr Hamza. Malan and Hamza fell for ducks - and effectively left kingpin Kyle Verreynne to shepherd the middle- and lower-order. Verreynne obliged, to an impressive extent, scoring a workmanlike 65 from 98 deliveries. He shared key partnerships with allrounders Vernon Philander and Rory Kleinveldt - and passed Malan as the leading run-scorer in this year's competition. But the trio's efforts eventually went in vain. 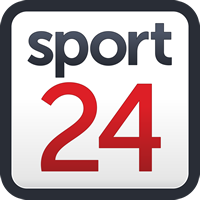 The Titans' pursuit weathered early troubles, as Kleinveldt and Philander shared a quintet of wickets to have the tally on 65 for five inside 15 overs. With Elgar and the in-form Aiden Markram unable to shape the collective backbone of the middle-order, Behardien needed to deliver. He did so on cue - and found a stable sidekick in the young Corbin Bosch. Behardien struck 75 not out to Bosch's unbeaten 45. Their near flawless partnership epitomised cool, calm and collection - and ensured triumph with 65 deliveries to spare. The Titans and Cobras qualified for this fixture after finishing in first and fourth position, respectively, in the six-team standings. The Titans won six matches in 10 attempts, while the Cobras managed five in 10. The men from Pretoria triumphed over the Cape Town-based franchise twice during the round-robin stage of the competition. Newlands and Centurion witnessed an 83-run and 10-wicket victory, respectively. The Dolphins and Warriors will contest Thursday's second semifinal at Kingsmead in Durban. The Lions and Knights failed to qualify.